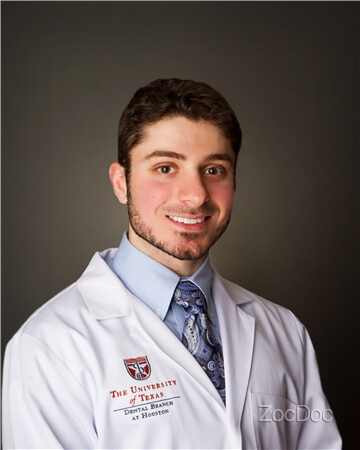 Dr. Ayham Nahhas graduated in 2013 from the University of Texas School of Dentistry in his home town of Houston, Texas. He is a board certified dentist and a member of the American Dental Association, the Texas Dental Association, and the Academy of General Dentistry. Dr. Nahhas strives to make each and every patient feel comfortable in the dental chair, alleviating any apprehension they have by thoroughly explaining all treatment, and making a personalized plan for each patient. He makes it his goal to put every patient at ease by treating them with the same care and concern as he does his own family. A believer in life-long education, Dr. Nahhas is committed to keeping up to date via study groups with his colleagues and continuing education courses in dentistry. A native Houstonian, Dr. Nahhas graduated from Katy Taylor High School before receiving his bachelor’s degree from the University of Texas at Dallas, where he divided his time between his studies, volunteering in the health care field, and pursuing the sport of wrestling, which he still practices by mentoring young athletes. When not in the clinic, Dr. Nahhas enjoys kayaking, camping, fishing, and exploring the great state of Texas and beyond.